How much bread you should eat in a day? 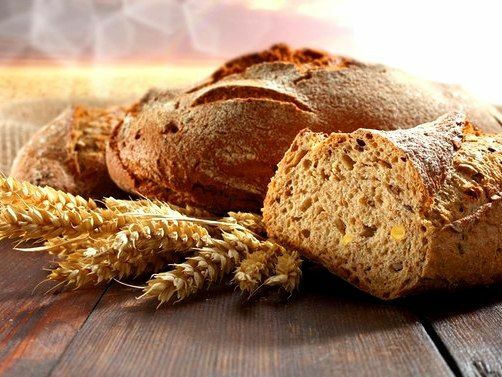 Scientists at the United Kingdom found that an increase in food consumption of whole grains reduces the risk of chronic disease and death. Experts also called optimal daily portion of bread. The study is published in the journal EurekAlert! Scientists have analyzed the 45 jobs associated with the use of cereals and their influence on the risk of disease and mortality. Total researchers studied data on 7000 cases of coronary heart disease, 2000 — stroke, 26 thousand — cardiovascular diseases and 34 thousands — of cancer. In total, this study involved 700 thousand people, including 100 thousand — died. The study found that the consumption of whole grain (about 90 grams per day of products from grains of wheat, rye, oats or other crops) reduces the likelihood of cardiovascular disease, including coronary heart disease (19%) and stroke (14%), and cancer (15%), diabetes, respiratory (22%) and infections (26%) conditions. Benefits begin by drinking two servings of grains per day. This is equivalent to 32 grams of whole grains of wheat or 60 g whole-wheat bread. With increasing use of this product is 7.5 servings per day (225 g), further reduced the risk of disease. Researchers do not exclude that an even greater increase in the amount of consumption of wholemeal bread, too, can have a positive result. Whole grains, experts recommend to use as bread or breakfast cereal. It is worth noting that scientists discovered the connection does not apply to products from refined grains and white rice.